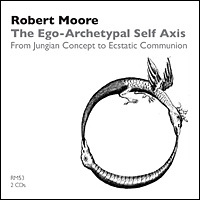 In this lecture, Dr. Moore offers his neo-Jungian reflections on various aspects of the individuation process—how the process manifests itself in the lived experiences of individuals and its impact on the experience of ego and Other, or the greater Self. He describes potential states of consciousness and being that are actualized and incarnated in the individual personality as the individual develops a growing awareness of his/her relationship to the greater Self. Dr. Moore explores the range of consciousness of the optimizing personality and the existential lived experience of individuals on the path of individuation. This program is the first part of a lecture and workshop presented at the CG Jung Society of Saint Louis.